Franz Kafka remains one of the most original voices in literature and holds an enduring fascination, for contemporary composers as well. Philip Glass based his pocket opera IN THE PENAL COLONY for two singers, actors and string quintet (from 2000) on Kafka’s story In der Strafkolonie. In this tale, in his inimitable style, Kafka depicts the way a totalitarian system becomes mired in its own absurd logic. He uses the metaphor of an execution device that carves the convict’s crimes into his skin before he dies. In Kafka’s hands, the story becomes an allegory in which the power and blindness of the system fundamentally undermine humanity. With his typical mesmerising sound patterns, Philip Glass provides a musical undertone to this gripping story that further reinforces its claustrophobia. 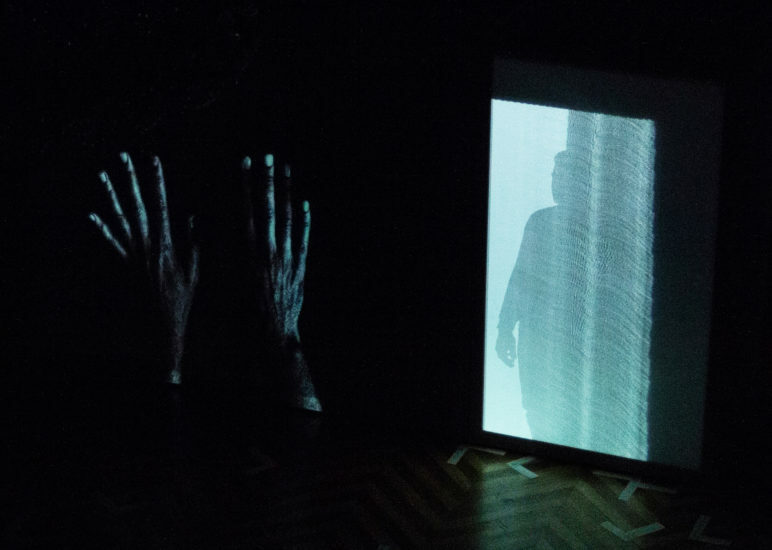 Glass’ chamber opera will be performed in a scenic installation by the audiovisual artist Clara Pons.